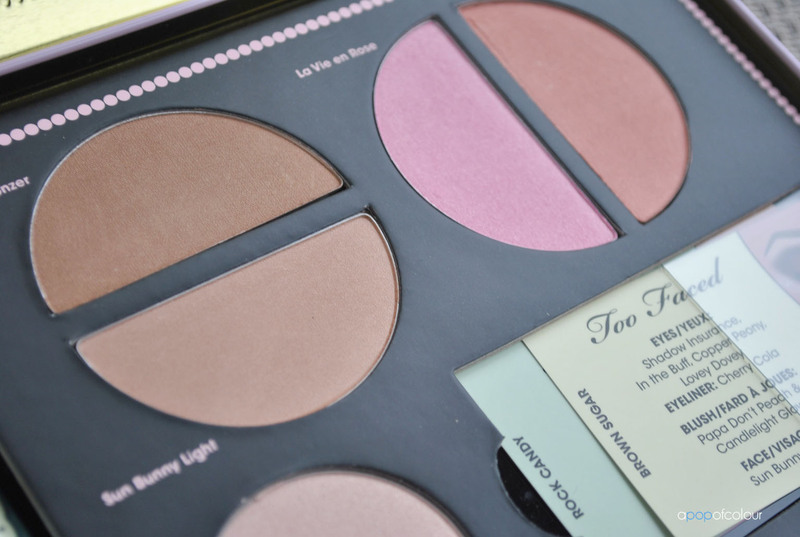 The holiday season at cosmetic stores and counters are all about palettes and gift sets. Every year, brands release limited edition holiday sets that combine a number of different products into one handy set. 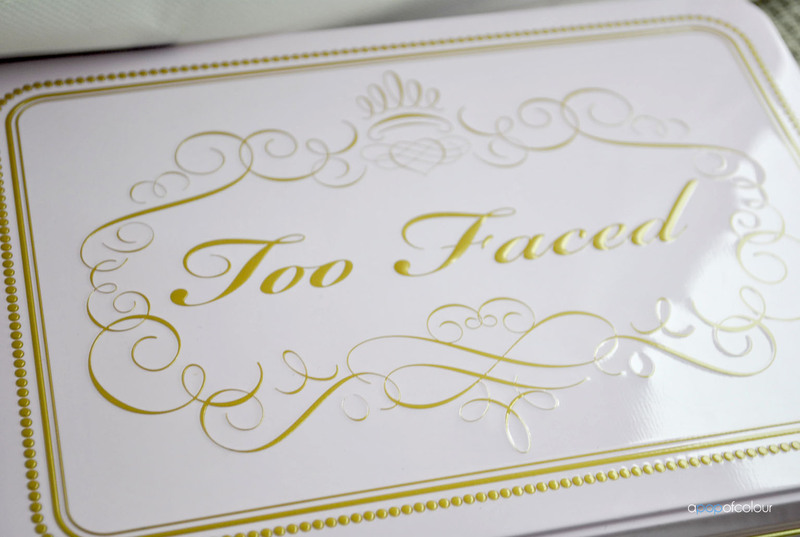 Too Faced cosmetics is no different. 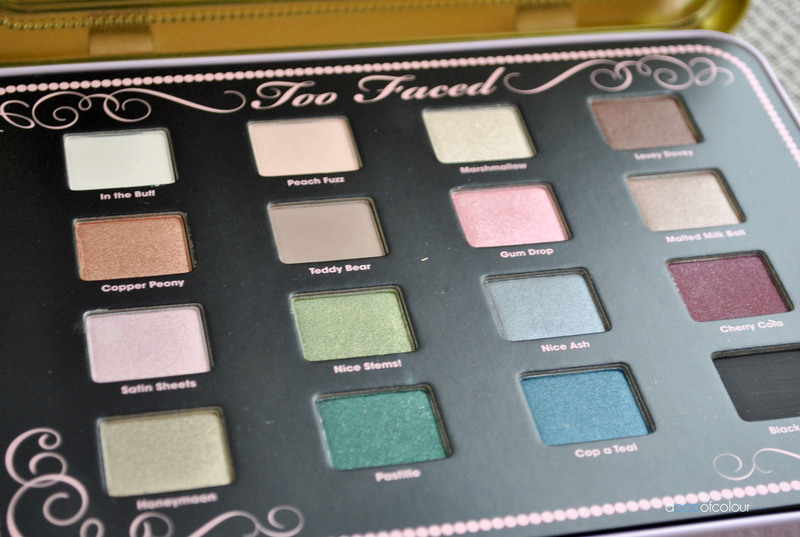 This is my first foray into Too Faced’s products and this palette does not disappoint. With 16 eyeshadows you can create virtually any eye look, and with two bronzers (a lighter one and a darker one) and blushes (pink and peach) to choose from, as well as a highlight and full-size eyeshadow primer, this set includes it all to make your face party perfect. I absolutely love this set and it would make the perfect gift for anyone who is just getting into makeup or who doesn’t have a lot to begin with. Aside from foundation and lip products, this palette is honestly all you need in one handy tin. This would also be perfect for traveling as it includes all the staples, just throw in a foundation and some brushes (it includes an eyeshadow blush with a sponge applicator on the other end) and you are good to go. The only negative I can think of with this is it is a bit bulky and does take up a lot of room. I have to keep this product outside my makeup container because it doesn’t fit, but once you consider how much product they packed into this two level tin, it makes up for it. This palette, available from Sephora, is perfect for anyone young or old; in fact, I can’t think of one single person I wouldn’t buy this for. It’s a great deal considering the amount of product you are getting (the full-size Shadow Insurance alone costs C$24). 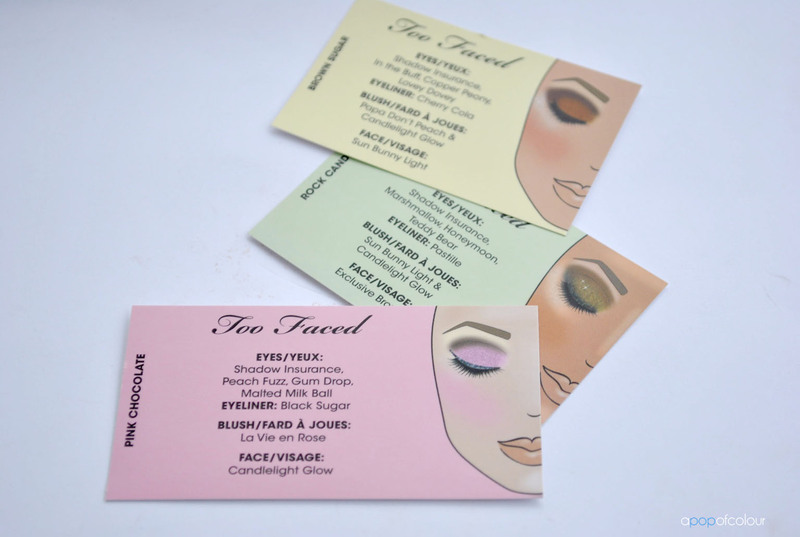 Sometimes with palettes the quality of the product is diminished to make up for the price you are paying (I often find this with MAC brush sets), but this isn’t the case with Too Faced. I have tried their Naked Eye palette (although I don’t own it), and all the eyeshadows seem to be the same quality. They are very pigmented and blend well. Same with the highlight, blushes, and bronzers. 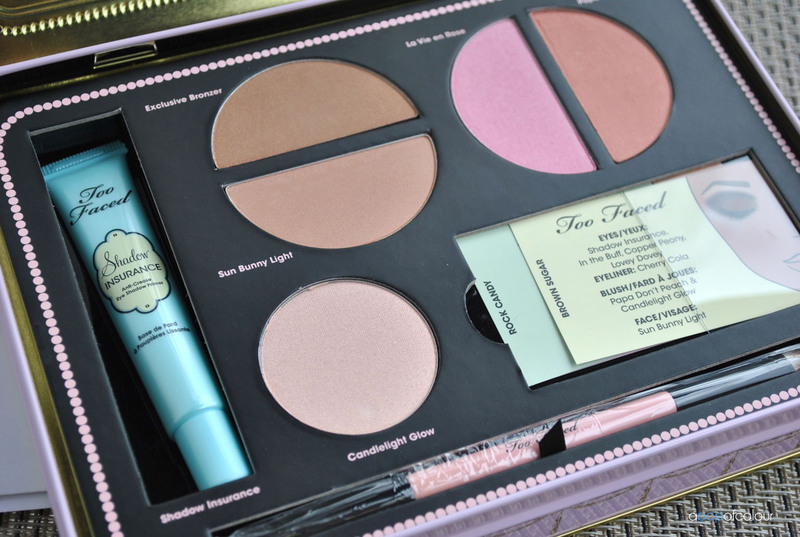 If you are looking for a makeup set that includes all the staples, this is it. If you are interested in this set, Sephora is offering their VIB-only holiday shopping event November 8 to 12, so if you have reached VIB status (spend $350 at the store in one calendar year) then you can pick it up for 20 per cent off. Night out look. Eyes: Malted Milk Ball (lids), Lovey Dovey (crease), Cherry Cola (to darken up the crease). Contour: Sun Bunny Light. Cheeks: La Vie en Rose. Highlight: Candlelight Glow. Lips: Illamasqua lipstick in Liv. 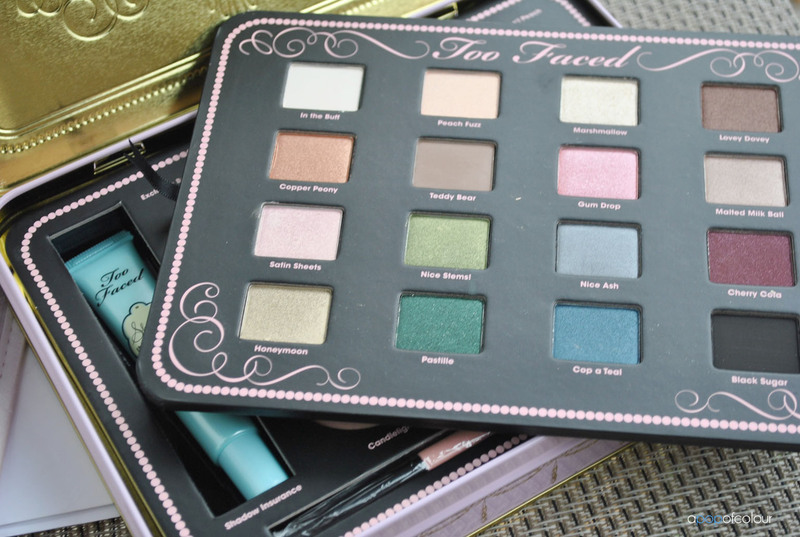 Is the Too Faced Sweet Indulgence Palette on your wish list? Please note I was sent this product from PR. All opinions are my honest own.